I’ve got a theory there is a big excel spreadsheet that circulates around Singapore with a set itinerary of ‘what to do in Western Australia’. You see Singaporeans and the Ex-Pat community following the same set itinerary, day in and day out. All doing the same thing, going to the same places, eating at the same restaurants, it even looks like they are all driving the same white Toyota Tarago! Ok so here’s an antidote to not feeling you were just transported from Singapore to Singapore in Australia. I’ve put together a 5-day itinerary of awesomeness that’s not on the spreadsheet! Margaret River is without a doubt one of the most spectacular and most consistent wine producing regions on the planet. Stunning scenery, perfect weather and world-class epicurean food and wine experiences. It’s also the adventure capital of Western Australia with loads of activities; surfing, fishing, hiking, mountain biking, caving, canoeing. Plus an abundance of artisans and year round cultural events. You name it, Margaret River has got it! Simply put. A wine and nature lover’s paradise. Visits to Margaret River should ideally be scheduled for mid-week to avoid the weekend visitors from Perth. It’s a year round destination but the best times to visit are Autumn, Winter and Spring. Most Singaporeans love to visit when it’s a bit cooler and timed to escape the heat and haze of June and July in Singapore. As locals this is also our favourite time of year. Less crowds, no flies and super relaxed. Give yourself AT LEAST three days, preferably 4-5 days to ensure a leisurely stay. Don’t be the Singaporean boofhead who thinks they can do it in a day. That’s just DUMB. And you’ve completely missed the point. Margaret River is a place to unwind and escape the city. To relax, drink wine, eat ridiculously well and have a few outdoor adventures. It’s all three. The Margaret River is an understated river that you pass over, often without knowing, as you enter Margaret River town. It enters the ocean at a point on the coast known as the Rivermouth, near Prevelly. When people refer to the Margaret River region they usually refer to it as a wine region. The wine region is stretched between two Capes – Cape Naturaliste in the north to Cape Leeuwin in the south, and encompasses the towns of Yalllingup, Dunsborough, Cowaramup, Gracetown, Margaret River, Witchcliffe, Karridale and Augusta, in between. Busselton is a larger town that sits just east of the wine region but should also be incorporated into your visit (either on the drive down or return trip). 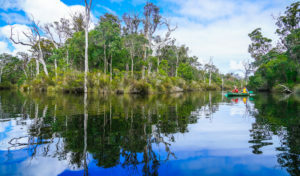 Discover the REAL Margaret River! There is a wide range of accommodation to suit all budgets. The region is about 140km in length and most evening dining centres around the towns of Busselton, Dunsborough and Margaret River. Give thought to this when booking your accommodation so you can occasionally walk to some of your destinations rather than relying on your car all the time. That being said there are some AWESOME places to stay in the bush if you want a genuine Australian bush or farmstay experience. When you arrive be sure to grab a regional map from the visitor centre. They also have an awesome seasonal magazine with all the latest info and insider tips. Righto here we go with the good stuff. There is LOADS to see and do, but this is great starter introduction on what you can get up too. The flight from Singapore to Perth, Western Australia is about five hours. Same time zone, so no jet lag. You will want a rental car while in Margaret River so make it easy on yourself and pick one up in the airport. The drive from the airport to Margaret River is approximately 3 hours and should ideally be done in one day. It’s an easy drive, perhaps a little boring so make sure you stay alert. If your flight arrives after 4pm you should consider staying in Perth city for the night and setting off on your drive the next day. If you opt to stay the night in Perth, consider Wildflower restaurant for your evening meal. It’s expensive but AWESOME introduction to our food and wine scene in WA. Food critic Rob Broadfield calls it the best restaurant in Perth https://thewest.com.au/lifestyle/rob-broadfield/broadfield-the-best-restaurant-in-perth-ng-b88308446z but beyond the hype, you are privy to a definitive Western Australian dining experience. The menu features local bush foods that are well-known in Australia’s Indigenous culture but are rarely experienced in mainstream kitchens. The restaurant is at the top of the old State Buildings in the CBD, and has views of the Swan River, so is a nice spot for sunset. Be prepared though, the meal itself will set you back a few dollars. Be sure to check out the evening view over Perth from Kings Park. One of the best city night views in the world. I’d recommend doing a tour early in your stay as this will help set you up with the knowledge for the rest of the holiday. There are dozens of tour operators, mostly doing the same thing, winery after winery and winery. That probably seems like a good idea, but for a lot of people it gets very boring very quickly. And misses some of the best stuff. How can you come to Margaret River and miss the actual Margaret River? 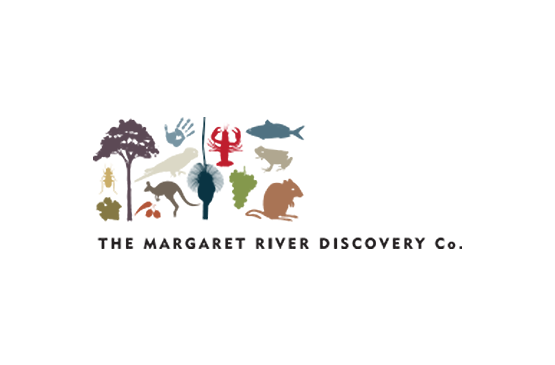 If you want to do something different to the herd I’d recommend the Margaret River Discovery Tour itinerary. A Discovery Tour will give you a relaxed overview of the region as you settle into holiday mode. You’ll experience the serenity of the Margaret River, visit a site of indigenous and current cultural relevance, enjoy a gourmet lunch at one of the region’s premier wineries and breathe some of the world’s cleanest air on a remote stretch of the Cape to Cape track. Kangaroos gauranteed! I’d recommend booking as early as possible as this tour tends to sell out several weeks in advance, with only six people maximum on tour. Ok lets be honest, most Singaporeans and expats are visiting the region for a food and wine experience. This is today! Loosen the pants and unleash the wallet. Sooooooo many incredibly good places to choose from. My suggestion is visit a few cellar doors at your own leisure in your own car. Yeah yeah of course remember to drink responsibly (0.05 is the blood alcohol limit in Oz), but there are real benefits to being able to set your own itinerary. Just don’t be goose and have more than a tasting. Then you can choose your favourite winery for lunch. This is the point you decide that someone needs to stop drinking or even better, you can book a designated driver service (try Kels Desi Drivers but just make sure you give her a few hours notice Ph 0429 272 309 ) and they’ll drive you home in your own car. Voyager Estate – hands down the best degustation experience. Go the full five course experience and completely write the afternoon off. My advice is to ship as much wine home as your budget allows! It is VERY cost effective to ship to Singapore. Most wineries will have a special Singapore price. There will be no Australian Tax, there’s also usually a case discount and very reasonable freight fee around $150 AUD. Then all you do is pay the Singapore bottle tax when they are delivered. Around $9 SGD per bottle. The trick here is not to buy the cheap stuff because you pay the SGD tax no matter the value, and try and avoid the super expensive stuff because there are equally as good quality wines in the region at half the price! For example Juniper Estate, Fraser Gallop Estate, McHenry Hohnen. Tonight, after a few glasses of wine, remember to stick your head outside and look up. On a clear night it looks like someone painted the sky with twinkles. Mind blowing. Can’t get that in a big city. Start your morning with a walk along one of the region’s beautiful beaches. Ask your hotel which beaches are closest to you. Mid-week you will often find yourself sharing a whole strip of white sand with just a seagull or two for company. Beachcombing awesomeness. Once you have worked up an appetite, it’s time for breaky. There are plenty of cafes in Margaret River town to choose from or, if you don’t mind something a little out of the way, visit the locals’ favourites: Blue Ginger café on Station Rd or the White Elephant Café at Gnarabup Beach. Today’s itinerary takes you into the deep south of the cape, exploring caves, magical forests and early settlements-turned-seaside holiday hamlets. You are going to be driving on Caves Rd and you need to her very very very careful and alert to Kangaroos and the occasional Emu crossing in front of you. If it happens, try and slow down, but whatever you do, don’t swerve! ….. if you have no other option just hit them, but don’t swerve. The roadside is pea gravel and you’ll lose control and hit a tree. And remember you’re on holiday so no need to speed. Head south on Caves Rd, passing some of the region’s public caves including Calgardup, Mammoth and Lake Cave. About 2km after Lake Cave you will take a sweeping left-hand bend and be faced with the quintessential south-west image of Boranup Forest. There are no signs – but you will know instantly that you have arrived. There is a parking area on the left from where you can explore and a lookout from where you can safely take photos. Once you have captured the forest from every possible camera lens, leave the parking area and again drive south. Just round the corner is the Boranup Café and Gallery. The café is a very worthwhile stop if you have already worked up another appetite but you should definitely take the time to peruse the art in the gallery. Local artists of all types exhibit here, including woodworkers, painters and sculptors. Exquisite local timber furniture is the highlight. Leaving the gallery continue south again on Caves Road and follow the signs to Hamelin Bay to see the famous stingrays and the remaining timbers of the milling-era jetty which regularly feature in tour brochures for the region. At the beach, the rays are best seen to the left of the boat ramp, and are easiest to watch when the waves are low and the water clear. Be careful not to stand on them as they are real Stingrays, but you can walk among them in the water. By now you will have worked up an appetite and its on to Augusta for lunch. Augusta was Western Australia’s third colonial settlement and was founded in 1830. The town grew through the late 1800s on the back of the timber industry and it was timber from this region which was once used to pave the streets of London. Today Augusta is a quiet seaside hamlet with an emphasis on the seafood industry, the marine-life and watersports of the Blackwood River and the Cape Leeuwin Lighthouse. Since its lunchtime and you are in Augusta, we recommend you sample some of the local seafood goodness. I love Blue Ocean Fish and Chips just as you drive into town, they also sell the local Abalone. Grab them as takeaway then head down road to Albany Terrace, turn left and discover the Blackwood River where you can eat under the shade of a Peppermint Tree. Always good for Pelican and Dolphin spotting in the river too. The last stop of the day is the Cape Leeuwin Lighthouse. The lighthouse is the tallest on mainland Australia. They’ll try and tell you it’s where the Southern Ocean and Indian Ocean meet, it’s not quite true but makes a good story for the photos 😉 . You can explore the lighthouse site on your own but, if Paul Sofilas is running a tour, I suggest you join him for some great insight into the history of this rugged spot. 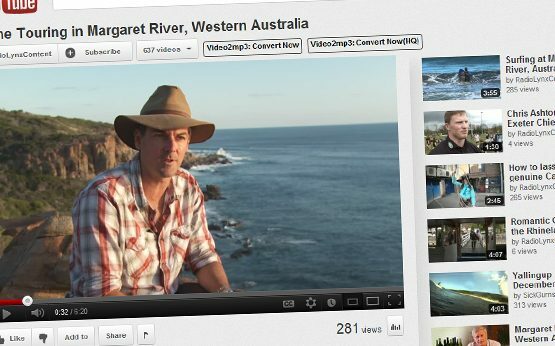 He’s the lighthouse keeper and WA Guide of the Year. Leaving Augusta you return to Margaret River along the Bussell Highway. This is a fairly safe stretch of road but definitely still need to keep an eye out for Kangaroo and Emu’s crossing. You will bid farewell to Margaret River today as you return to Perth. Allow a minimum of four hours for the direct trip to reach the airport, with extra time for stops and peak hour traffic. Hopefully you’ve acyually got the whole day to explore and left enough time to discover the North end of the Cape. You could easily spend a couple of days just here. Some of the best beaches in WA dot this coastline. Including Indjidup, Smiths Beach, Meelup , Bunker Bay and Eagle Bay. My personal fav is Point Piquet. But shhhhh, don’t put it on the spreadhsheet! A stop at Canal Rocks is a must do photo opp. So is the little coastal town of Yallingup. Dunsborough is usually bustling with locals and Perth tourists. I’d highly recommend a visit to Christian Fletcher photo gallery. Amazing images of WA. On the return trip the Busselton Jetty is a must do. At minimum you should stop for a photo and stretch the legs, if you have more time the underwater observatory tour is definitely worth it (not open in winter due to poor visibility). Good lunch option in Busselton include The Goose, The Fire Station and The Laundry. And you’re back in the fast food territory if you need a grease fix. From there bomb it back up to Perth. An easy drive to reflect upon a great couple of days ‘down south’ reconnecting with the natural world. 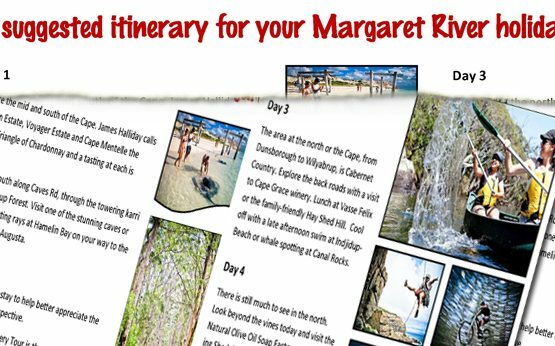 Hope this helps in planning your Margaret River holiday! 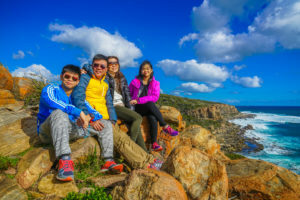 Discover the Cape Track and Wilyabrup Cliffs with the Margaret River Discovery Co.